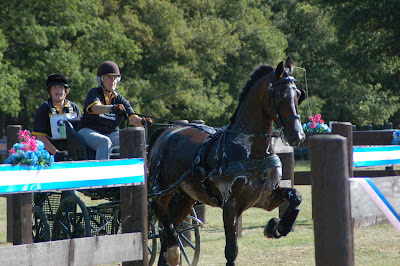 Single membership of BHC is £40 including British Carriagedriving (BCD) affiliation costs and insurance. If you are already a member of the BCD you can claim a discount of £8. You must enter your BCD membership number at which point the BHC membership cost is automatically reduced to £32. If you are under 18 at the start of the membership year, then you qualify for Junior membership at £25. If you are a member of BCD please quote your BCD membership number for a reduction to £17. The Club membership year runs from 1 February to 31 January each year. You can join or renew your membership securely online with your credit or debit card. If you would like to pay by cheque, please print out the application form and with your cheque to the address below. 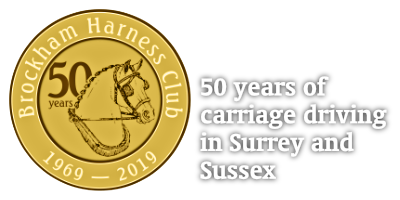 Make cheques payable to "Brockham Harness Club". Having trouble Printing the Membership Form?? - Click Here for Help.